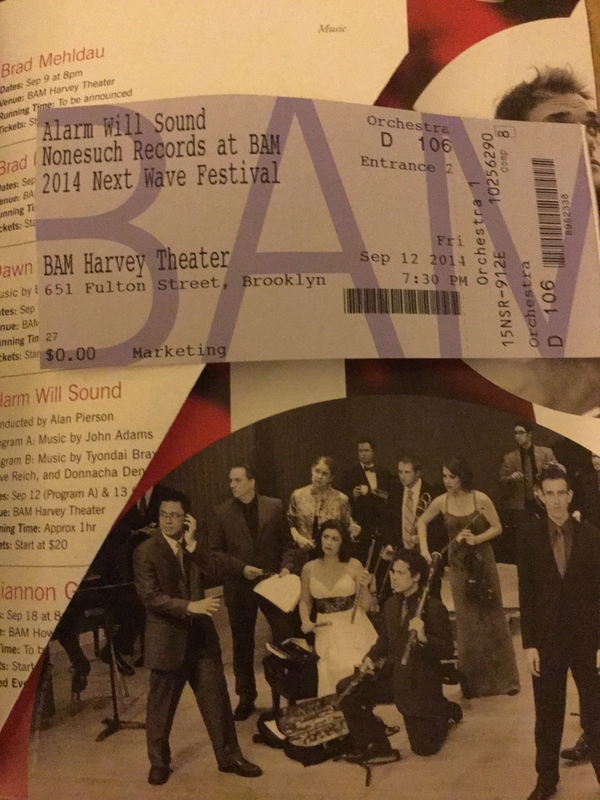 I was sorry to see the house not completely full at BAM for the Friday 9/12 performance by Alarm Will Sound. The whole program (music by John Adams) was fantastic. These musicians are supremely talented and a real thrill to hear live. (I first heard them at the thrilling close to the 2012 River to River festival when they performed John Cage’s ambitious Song Books — one of my most memorable musical experiences to date.) I selected this evening’s performance as much for the opportunity to hear Alarm Will Sound as I did for John Adams’ works. I was not disappointed by either. I am glad I attended.